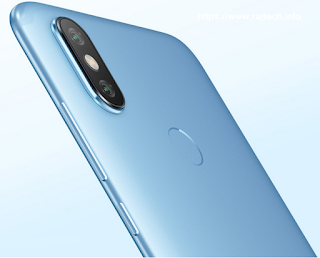 Xiaomi Mi A2 smartphone was launched in 2018 July. This is also a next-generation mobile by Xiaomi group. Redmi Note-4 was the top seller mobile for Xiaomi. 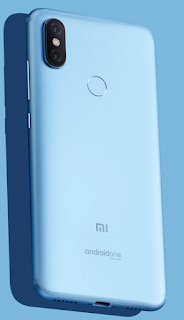 Mi A2 one of the best budgets smartphone. Xiaomi Mi A2 comes with the 5.99 inches IPS LCD capacitive touchscreen which has 1080*2160 pixels resolution & also a multi-touch screen. Mi A2 is powered by 1.8GHz octa-core processor, this mobile comes with 6GB and 4GB of RAM & 128GB and 32/64GB of internal storage. Users can not use external storage because there is no external card slot for microSD. Mi A2 comes with dual camera,12 Megapixel & 20 Megapixel with Dual-LED flash primary camera on the rear side and 20 Megapixel camera for taking selfie picture. The front camera also with LED flash. Video from the primary camera is 2160 pixels, 1080 pixels, 720 pixels & Secondary camera is 1080 pixels. Full Specification of Xiaomi Redmi Note 5 With Price. - Li-Po 3000 mAh Non-removable.